Washington, DC (June 28, 2014) – Earlier this week, New York City residents Kyle McCarthy and Ron Bozman from Family Travel Forum joined dozens of other small ad-supported Internet Long Tail (“niche”) publishers from across the country for the Interactive Advertising Bureau’s (IAB) Sixth Annual Long Tail Alliance Washington, D.C. “Fly-In.” After a day of workshops with the IAB team at the Renaissance Mayflower Hotel, Long Tail Alliance members visited Capitol Hill, meeting with representatives and staff from the House and Senate to raise awareness of small business concerns about potential interactive advertising regulation from the Federal government. McCarthy runs the website MyFamilytravels.com from a New York City office, where editors, writers and new media interns program vacation destination content. Freelance employees supported by the company’s online advertising programs extend from writers in several regions to web developers in Connecticut and designers in Georgia. This is the fifth time that she has taken part in the yearly trip to Washington, D.C. and the first visit to Capitol Hill by director of online ventures, Ron Bozman. In addition to meetings with Congressional leaders, the Long Tail publishers attended workshops to learn strategies and best practices for growing their businesses. Amarpeet Singh, Director of Online Partnership Group at Google, stressed the importance of optimizing online resources for mobile devices and shared best practices derived from many of the company’s usability studies. Family Travel Forum, watching mobile users climb to 38% of all visitors last winter, launched its responsive site a few months ago to better serve vacation planners already on the go. Following sessions on online security, social media, and the current status of Do Not Track regulation both online and via mobile devices’ GPS capability, the IAB’s legal team led by Executive Vice President, Public Policy & General Counsel Mike Zaneis closed the afternoon. At dinner at the stylish new Google headquarters off H Street, Zaneis’ team explained to publishers how their day of lobbying would work. The Interactive Advertising Bureau (IAB) is comprised of more than 600 leading media and technology companies who are responsible for selling 86% of online advertising in the United States. The IAB educates marketers, agencies, media companies and the wider business community about the value of interactive advertising. Working with its member companies, the IAB evaluates and recommends standards and practices and fields critical research on interactive advertising. 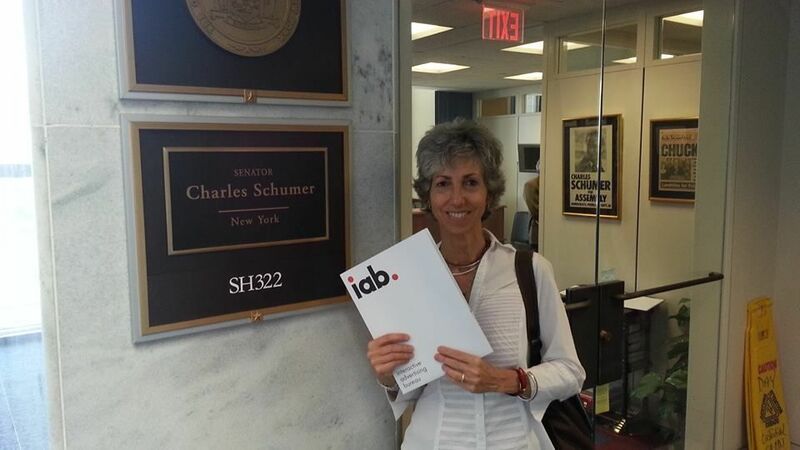 Founded in 1996, the IAB is headquartered in New York City with a Public Policy office in Washington, DC.